What is Minimally Invasive Transforaminal Lumbar Interbody Fusion (TLIF)? Minimally invasive transforaminal lumbar interbody fusion is a clinical condition that is used to stabilise and fuse a deformed adult spine. It is a specialised technique that utilises screws and rods to hold vertebra in place, and placement of bone graft for fusion. Minimally invasive transforaminal lumbar interbody fusion is used to treat spinal conditions such as scoliosis, spondylolisthesis and spinal stenosis. Recurrent disc herniation is another indication. 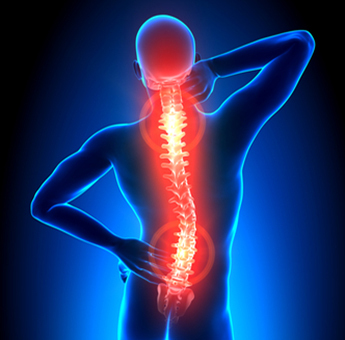 In these conditions, the spinal column is unstable and the surgery can help improve the stability. Once consent of the patient has been obtained, the patient is placed in a face down position after a general anaesthetic has been administered. The area to be operated upon is cleaned with antiseptic solution and covered in sterile drapes. Under the guidance of x-ray (fluoroscopy), the relevant vertebra identified and a small incision is made on the skin on the back. The intervening structures i.e. muscles and soft tissues are moved to the side using instruments. Through this incision, a series of dilators are passed in order to create a path to access the vertebra. Instruments are then inserted through this path and the degenerated disc or damaged tissue is removed. The nerve fibres that are encountered along the way are gently moved to the side. The vertebrae are held together with the help of pedicle screws and rods. The space between the vertebrae, surgical hardware is inserted into the interbody space and a bone graft (that is usually derived from the patient's pelvis) is placed that helps fuse the two vertebrae. Once the procedure has concluded, the instruments are removed and the wound is closed with the help of a sterile bandage. Following the procedure, the patient is observed for a brief period of time and discharged home. They are advised to take bed rest for a few days and avoid any heavy lifting. This procedure is minimally invasive and bears the advantage of not causing any major damage to the neighbouring tissues. As the bone graft is placed in between the vertebral bodies, once fusion takes place it positively reinforces the spinal stability. Any pressure that was being placed on the nerves is relieved and patients find a significant improvement in symptoms. Patient outcomes are excellent and long-term problems are rare. These are rare and can include damage to the nerve root when manipulating the nerve, mild bleeding and bruising and infection.